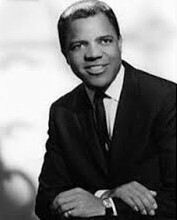 Back in 1959 Berry Gordy Jnr, erstwhile professional boxer and enthusiastic songwriter, on the advice of his friend, Smokey Robinson, borrowed $800 from his family and used it to open Tamla Records putting out “Come To Me” by Marv Johnson in January 1959. From 1961 Berry was also putting out records on his new Motown label. (In Europe Gordy’s music was released on Tamla Motown, but in the US this was two separate labels under the Motown banner). And the rest, as they say, is history. 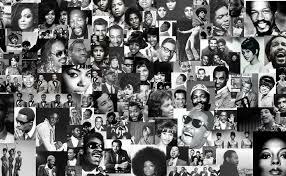 Motown, originating in Detroit, became The Sound Of Young America and the rest of the world lapped it up as over the next few decades it introduced us to some of music’s biggest stars including Stevie Wonder, Marvin Gaye, Diana Ross & The Supremes, Michael Jackson & The Jackson Five, Smokey Robinson & The Miracles, The Four Tops, The Temptations, Gladys Knight & The Pips, Lionel Richie…………………….the list goes on. 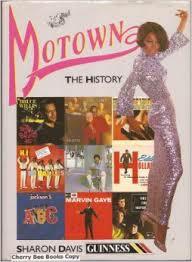 Sharon Davis is the perfect person to write a book about Motown. Working for Blues and Soul Magazine from the 1970s she wrote a column “Motown Tracking” which gave a regular review of news, recordings and gossip from the label forming a large body of work and making friends with the artists which would have helped her produce this book. What this makes this book different from many books about Motown (and there are quite a few out there – it being such a fascinating success story) is that British perspective and also the thoroughness of the whole thing. Motown completists may very well weep with joy as there is at the back of this book a comprehensive discography of all releases of Singles and Albums which sorts out the output of Gordy’s different labels as well as a list of all British releases to the mid 80’s. It is this more than anything that keeps this book on my shelves. This entry was posted in Real Life and tagged Motown, Sharon Davis, Soul Music, Tamla Motown. Bookmark the permalink.